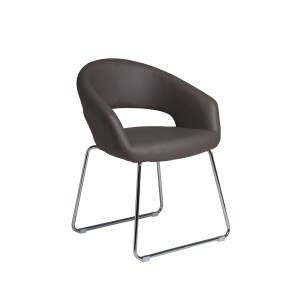 This dining chair with chrome legs is perfect for relaxed contemporary dining. 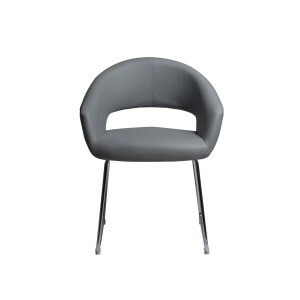 With measurements of 48cm by 60cm by 87cm, the chair has a comfortable padded seat and back. 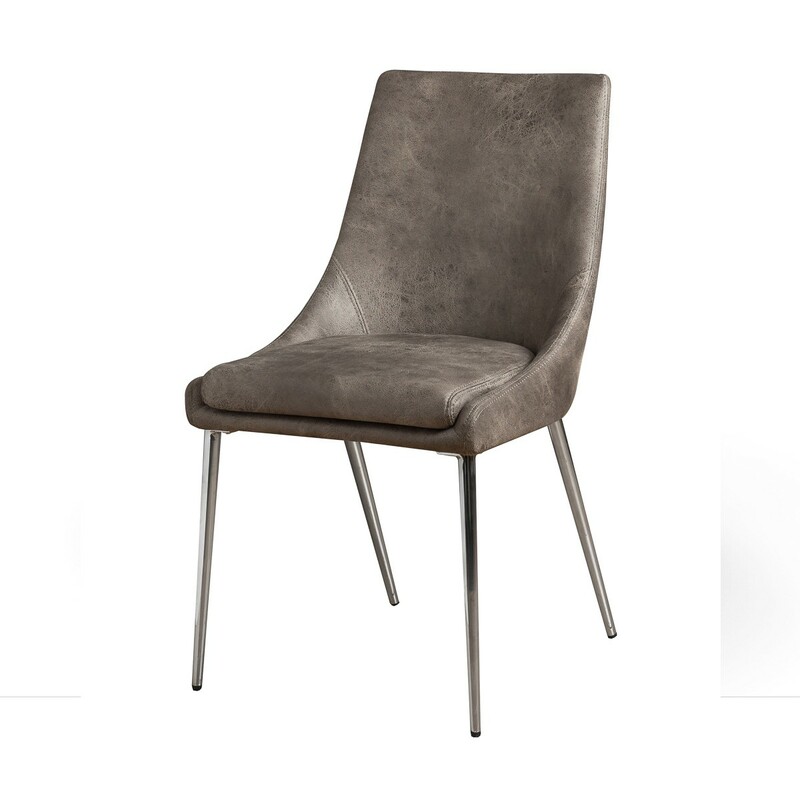 Chosen by our design team, this dining chair offers high quality seating at an exceptional price. The hardwearing modern fabric in muted vintage grey is practical and easy to maintain, offering long-lasting style. 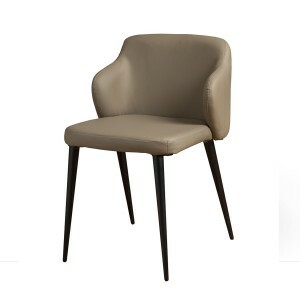 Part of Retail Furnishing’s extensivefurniture collection, this dining chair is sold singly, so you can buy one, a pair or as many as you need to suit your space. 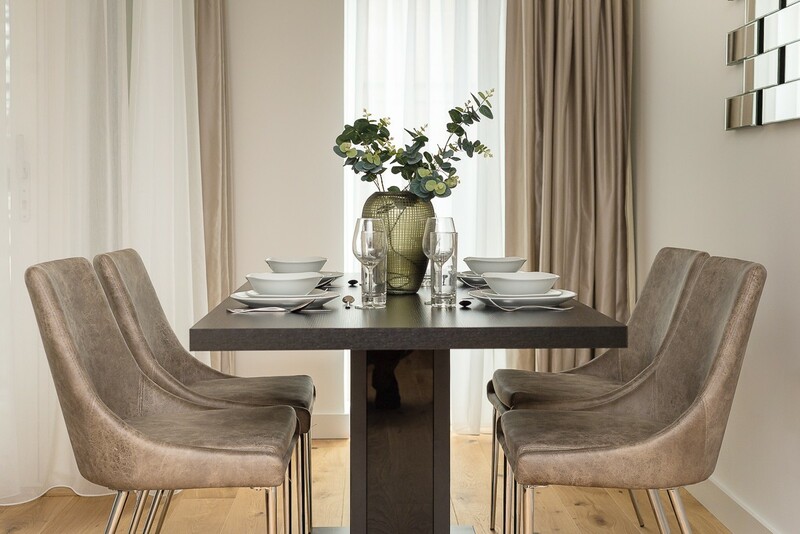 This lovely streamlined dining chair, blends comfort and good looks. The soft colourway works beautifully with dark or light wood. 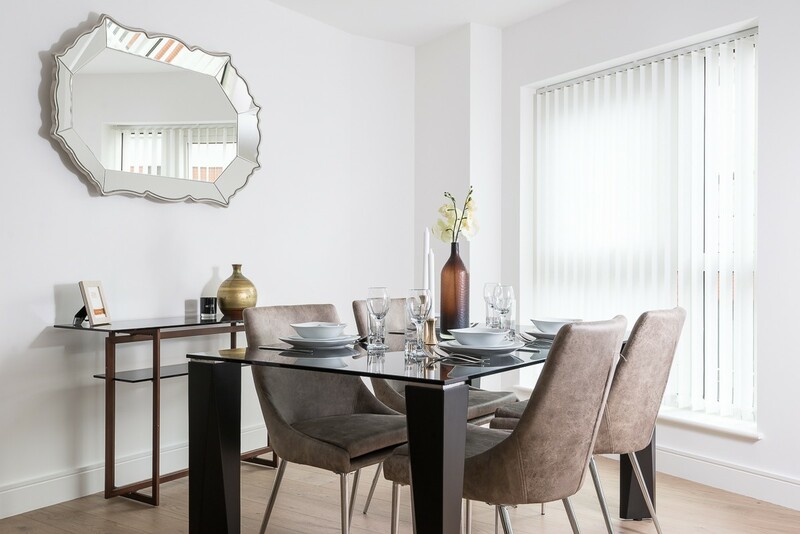 Or try combining it with a modern glass or steel table. 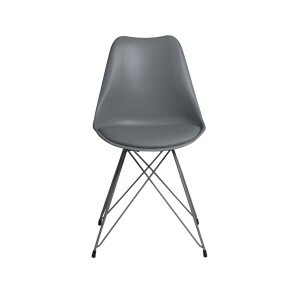 The chair is makes a useful extra occasional living-room chair and is also perfect for a home workspace.